Anesthesiologists are fundamental to the surgical care team. The role of an anesthesiologist extends beyond simply administering medication to patients; anesthesiologists must also have experience in pre-operative planning, pain management, and patient subgroup analyses in order to ensure effective and safe surgeries. Like other physicians and healthcare providers (HCPs), anesthesiologists’ practices are guided by changes in healthcare policies, particularly with respect to healthcare financing and operational management. As the United States healthcare system broadens its scope of practice, anesthesiologists should be aware of relevant developments in healthcare delivery, service utilization, and financing mechanisms. Earlier articles here have introduced collaborative care delivery. More specifically, these articles examined the perioperative surgical home (PSH), a care delivery model that transitions from a disease-centered perspective to a patient-centered perspective. As part of the PSH model, anesthesiologists serve alongside primary care physicians, nurses, surgeons, and social workers to form a team which meets and discusses the patient’s healthcare journey and treatment options.1 Through this mechanism, treatment options are established through a collaborative mechanism that prioritizes the patient’s needs with respect to care. The PSH model is experiencing increased attention from and adoption into physician practices throughout the United States, including uptake by anesthesiologists. Researchers recently concluded a two-year, quantitative study that aimed to evaluate physician attitudes towards changes in care delivery, including PSH.2 The study was comprised of a survey administered at several time points to gauge longitudinal changes. Participants in the study (n=6000) were all board certified anesthesiologists as well as active members of the American Society of Anesthesiologists, allowing data to reflect the views of current practicing physicians in the field. By the end of the study, the researchers found that knowledge of the PSH model had increased among all study participants, with respect to geographies and care center modalities. Furthermore, anesthesiologists were more likely to express support for the inclusion of multidisciplinary PSH teams, as opposed to medicine or specialty-specific PSH teams. This result supports the idea that there exists a keen opportunity for anesthesiologists to develop as leaders in the collaborative care and PSH movement. This is particularly apparent when considering the existing systems approach to medicine that many anesthesiologists already employ in their practices. Thus, as medical centers begin to transition to collaborative care and PSH delivery models, anesthesiologists could serve as valuable leaders in the field. Along with changes in healthcare delivery, anesthesiologists will experience changes in healthcare reimbursements, which may influence their future practices. While the healthcare payment system in the United States has historically been predominantly fee-for-service (FFS), changes in workforce allocation, such as adoption of the PSH, may alter this paradigm.3 Bundled payments are one viable health financing mechanism that may become more prevalent in the United States healthcare system in the coming years. Anesthesiologists, who often work scheduled shifts, may appear to be unaffected by this shift at first; however, a salaried workforce may be advantageous when navigating the complex world of co-payments, deductibles, and insurance payments. Thus, until healthcare policies provide a more definitive, universal model of how healthcare will be financed in the United States, anesthesiologists should be cognizant of how payment mechanisms can impact their own remuneration. With the shift towards collaborative care and per-patient compensation payment mechanisms, the anesthesiologist will continue to evolve into their role as a system-based leader in the workforce. 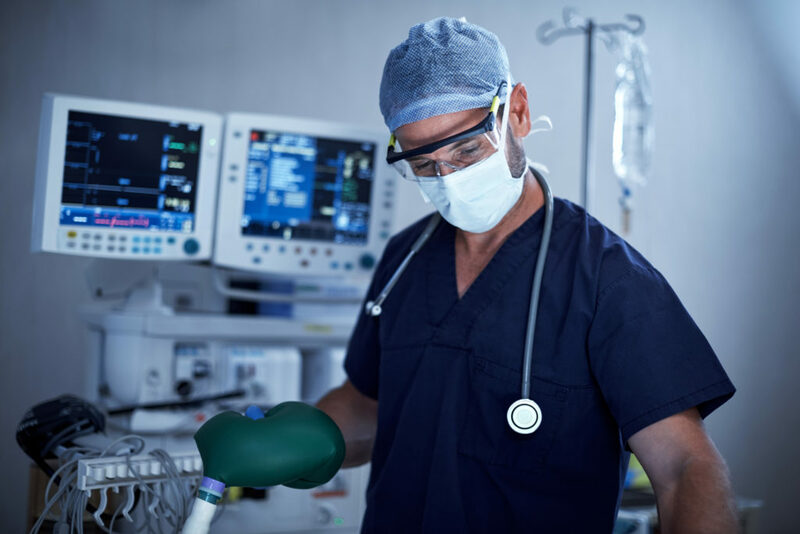 As healthcare in the United States continues to rapidly change, anesthesiologists are well-equipped with the information and skills to serve as leaders in the growth and expansion of high-quality healthcare. Scott BC and Eminger TL. “Bundled Payments: Value-Based Care Implications for Providers, Payers, and Patients.” American Health and Drug Benefits. 2016 Dec. 9(9): 493-496.